There are days under the hot desert sun when only a cold, refreshing caffeine fix will do. For some, that’s every day! And thanks to third-wave coffee aficionados, we are spoilt for choice between cool new ways of enjoying the bean. The first wave of coffee made convenient products such as instant and home brews readily available. In those dark days, iced coffee meant brewing as usual, chilling the result and adding milk or sugar to taste. The second wave brought about a proliferation of speciality drinks, many of them iced. Loaded with ingredients (and sugar! ), their strong, often sweet flavours overpower the actual coffee (usually freshly brewed espresso). The third wave of coffee, which has been lapping at our shores for a few years now, ushers in a renewed focus on provenance, roast and the intricacies of aroma extraction. Skilled baristas are constantly experimenting with different methods to tease flavour out of coffee beans. Variations on the tried and tested brewed-then-chilled tipples are still going strong, but other cold coffees are, so to speak, born that way. The coolest kid on the speciality coffee block is cold brew, the overarching term for coffee made with unheated water. Instead of blasting ground beans with hot water, they are immersed for longer periods at room temperature or lower, resulting in an entirely different bouquet. Unfortunately, it’s not as simple as chucking any old coffee into water and letting it do its thing. Some beans and roasts lend themselves to the method better than others, but finding them can be a question of trial and error. There’s a plethora of tools available for making cold brew, but little consensus on which is best. Whilst some recipes simply call for a paper filter or French press, others swear by dedicated appliances like the classic Toddy, the Kickstarter-funded Bruer or intricate drip towers. You can tell a new trend has reached tipping point once the big players start adopting it. Once Starbucks launched its cold brew earlier this year, it was a sign that the drink had gone mainstream... and that independent establishments were probably already moving on to the next thing. Dmitriy Griekhov, who won 2014’s UAE Barista Championship and will be one of the judges at this year’s competition, which began yesterday and concludes on Friday, considers cold coffee beverages a big draw. 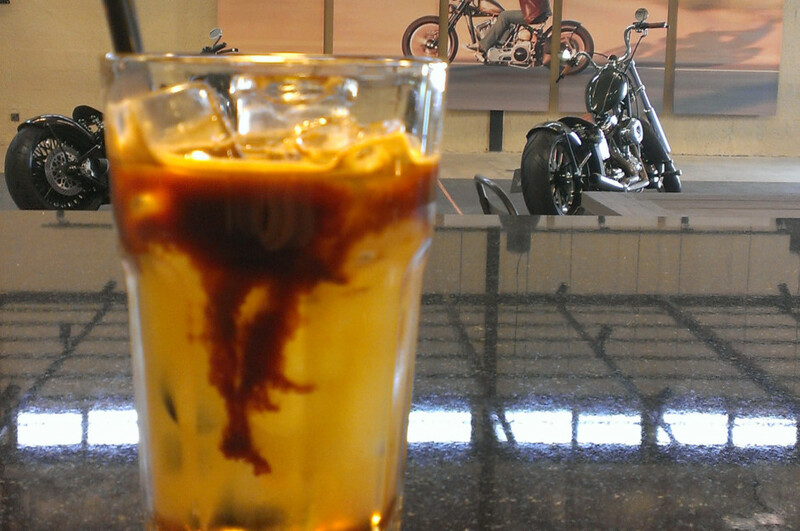 Behind his counter at Café Rider, he keeps the selection fresh with “several different methods of cold brewed coffee as well as espresso based cold cocktails”. Kegged cold brews are already a hit in the US. Some swear by the refreshing fizz of CO2, others love the creamy, Guinness-like head nitrogen creates. An easier way to make cold coffee sparkle is by topping up cold brew with a dash of soda. Tonic water and more exotic mixers like tart Italian citrus soda Chinotto complement the bitterness of coffee, adding just the right amount of sweetness. With all those choices, next time you can’t stand the heat, don’t get out of the kitchen, just ask for a cold brew instead.